CLICK HERE to download the 2018 State Tournament Field Assignments & Shooting Schedule! 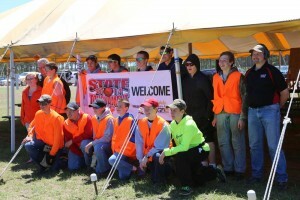 The Colorado State High School Clay Target League invites all student athletes to participate in the State Tournament.In order of importance, the three priorities of the Colorado State High School Clay Target League are safety, fun and marksmanship. 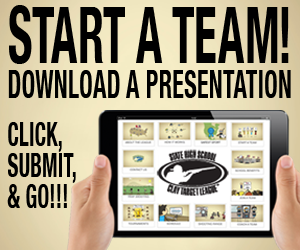 All participants and spectators are required to adhere to all State Tournament rules and requirements included in the COSHSCTL’s Policies & Procedures guidebook. Any participant or attendee who does not adhere to these rules will be disqualified and/or asked to leave the State Tournament. The State Tournament committee reserves the right to make alterations in, or amendments to these rules at any time without notice. April 19: Athlete registration opens. May 6: Tournament registration closes. Non-refundable payment of $30 per athlete due. May 18: Tournament team registration payment option due. All current Colorado State High School Clay Target League student athletes are invited to participate. $30 per athlete. Includes State Tournament t-shirt, and targets. No refunds. All spectators are welcomed to attend the State Tournament. There is no entrance fee. Team setups including tents and chairs are allowed in the areas designated for spectators. Vehicles are temporary allowed to drive to the spectator area prior to competition to unload gear. Coolers for food and non-alcoholic beverages are allowed. Grills are not allowed near the trap fields. Spectators must adhere to the designated areas so Tournament officials and maintenance vehicles can maneuver. In the event of inclement weather before or during the State Tournament, the COSHSCTL will make safety their first priority. When lightening is observed or thunder is heard, the tournament must be suspended. The occurrence of lightning or thunder is not subject to interpretation or discussion. Lightning is lightning; thunder is thunder. Everyone will be asked to take shelter either inside of a building, shelter or vehicle. If, after lightning is seen, and it does not reoccur for 30 minutes, the tournament committee will review weather reports and the committee will decide if/or when the competition will resume.If severe weather is forecasted, and time permits, all participants will shoot a lesser number of targets as determined by the tournament committee. If time permits, all participants will shoot more targets until the prescribed number of targets has been shot. 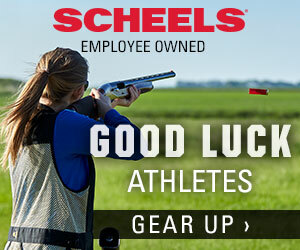 If weather does not permit completion of the shooting, the team with the highest score of the round(s) every shooter was able to complete, will be deemed the winner of that competition. • All times are when teams need to be at their assigned traps and prepared to shoot. After the starting time for each day, all starting and completion times are estimated. • If an athlete does not report to the assigned trap by the scheduled time, he/she will have to be moved to the final squad out for the team.